﻿﻿﻿﻿﻿ W. Gunther Plaut, a rabbi whose vast, scholarly and ardently contemporary edition of the Torah has helped define Reform Judaism in late-20th-century North America, died on Wednesday in Toronto. He was 99. His son, Rabbi Jonathan V. Plaut, confirmed the death, saying that his father had been ill with Alzheimer’s disease for nearly a decade. At his death, the elder Rabbi Plaut was the senior scholar at Holy Blossom Temple in Toronto, where he had served as senior rabbi from 1961 to 1977. One of the most prominent rabbis in the world, Rabbi Plaut (the name rhymes with shout) wrote more than 20 books on Jewish theology, history and culture. He was best known for “The Torah: A Modern Commentary,” his magnum opus, published by the Union of American Hebrew Congregations, the umbrella organization for Reform Jewish congregations in North America. First published as a single volume in 1981 and issued in a revised edition in 2005, Rabbi Plaut’s Torah has become a touchstone for Judaism’s liberal branches. While Jews have long studied the Torah — the first section of the Hebrew Bible — with the aid of rabbinic commentaries, none like his had ever before appeared. The Plaut Torah has sold nearly 120,000 copies, according to its publisher. It is used today in many Reform synagogues, as well as in some Conservative and Reconstructionist ones, throughout the United States and Canada. “This is the first non-Orthodox full commentary on the Torah published in English for congregational use,” Rabbi Daniel H. Freelander, a senior vice president of the Union for Reform Judaism, as the Union of American Hebrew Congregations is now known, said in an interview on Friday. Before the Plaut Torah, the commentary most widely used in North American synagogues across the Jewish spectrum was by Joseph H. Hertz, the chief rabbi of Britain. Published in the 1920s and ’30s, Rabbi Hertz’s commentary was written from the Orthodox perspective, and as such it considered the Torah the word of God, given to Moses at Mount Sinai. Rabbi Plaut’s Torah, the first edition to be produced in the New World, spans nearly 1,800 pages and took more than a decade to prepare. Even its cover gives quiet but unmistakable evidence of its unorthodox intent: the 1981 edition opens from left to right, like a conventional English book, instead from right to left, as traditional volumes of Hebrew Scripture do. Drawing on scholarship in science, biblical archaeology, Near East studies, folklore, linguistics and feminism, and on non-Jewish texts including Shakespeare, the Koran and the New Testament, the commentaries in the Plaut Torah ascribe layers of possible meanings to the text. This makes probing analytical discussion — even argument — among worshipers not only possible but often satisfyingly inevitable. Rabbi Plaut’s Torah has a Janus-headed aspect. In an era in which American Reform Jewry had become increasingly assimilated, with worship conducted largely in English, it represented a return to Hebrew Scripture. But it also made it possible to interpret that Scripture in ways that a strict adherence to tradition did not admit. Long considered the de facto leader of Canadian Jewry, Rabbi Plaut was for decades a well-known public figure in Canada. He wrote and spoke often to ecumenical audiences on a range of religious and human-rights issues, in particular the rights of refugees. As vice chairman of the Ontario Human Rights Commission, on which he served from the late 1970s to the mid-1980s, Rabbi Plaut was responsible for the decision, which drew both wide praise and wide condemnation, allowing Sikh students in Canada to wear traditional ceremonial daggers to school. In recent years, until his health no longer allowed it, Rabbi Plaut wrote frequently in Canadian newspapers about the pervasive scourge of ageism. Rabbi Plaut never set out to be a clergyman, but the Nazis made that decision for him. The son of Jonas and Selma Plaut, Wolf Guenter Plaut was born in Münster, Germany, on Nov. 1, 1912. His parents ran a Jewish orphanage, and he was reared there with the other children. The young Mr. Plaut earned a doctor of laws degree from the University of Berlin in 1934 but, because of laws imposed by the Nazis, could not practice law. He spent a year in Berlin studying Jewish theology, one of the few fields still open to him. “I wanted to know what it truly meant to be a Jew if I was made to suffer for it,” he said in a 1998 interview. In 1935 he was awarded a scholarship to study for the rabbinate at the Cincinnati campus of Hebrew Union College, and he took it, a decision that may well have saved his life. His parents, after ensuring that the children in their orphanage were safely placed, were able to flee to the Isle of Man and came to the United States after the war. Though he had thought his studies at the seminary would be simply a way to mark time until the war ended, “Torah grabbed me,” Rabbi Plaut later said. He was ordained in 1939. Serving as a chaplain with the 104th Infantry, Rabbi Plaut took part in the liberation of the Dora-Nordhausen concentration camp in Germany. Though the survivors were starving, he recalled, they did not ask for food, but for religious items. After the war, Rabbi Plaut held pulpits in Chicago and St. Paul before taking up his post in Toronto. 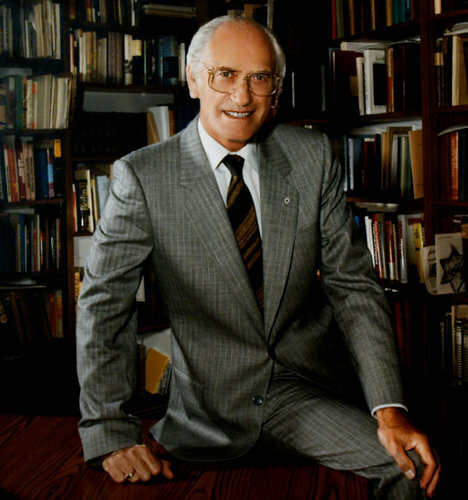 A past president of the Central Conference of American Rabbis and the Canadian Jewish Congress, he was named an Officer of the Order of Canada. Rabbi Plaut’s wife, the former Elizabeth Strauss, whom he married in 1938, died in 2003. Besides his son, Jonathan, the rabbi of Temple Beth Israel, a Reform synagogue in Jackson, Mich., he is survived by a daughter, Judith Plaut; two grandchildren; and two great-grandchildren. 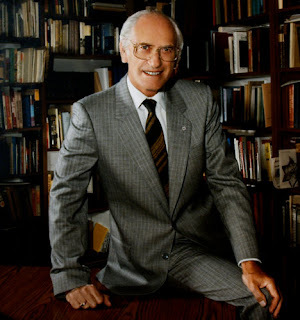 His other books include “The Haftarah Commentary” (1996), which treats readings from the middle section of the Hebrew Bible; “The Magen David: How the Six-Pointed Star Became an Emblem for the Jewish People” (1991); and two volumes of memoir, “Unfinished Business” (1981) and “More Unfinished Business” (1997). In 1935, shortly after he came to the United States, the future Rabbi Plaut received an eloquent lesson in textual interpretation and the reader’s need for a learned guide. Newly arrived in Cincinnati, he was shown an article in the sports section of a local newspaper by his fellow seminarians. Glancing at the headline, he recalled years later, he thought the article was about a revolution in Italy.